When Molly is not posting photos of tasty food on her Instagram, @meatlessmolly, she’s giving of her time and energy for various animal rights groups including, The Save Movement‘s Los Angeles Animal Save​ and Animal Alliance Network​ or participating with Anonymous for the Voiceless‘s Cubes of Truth. 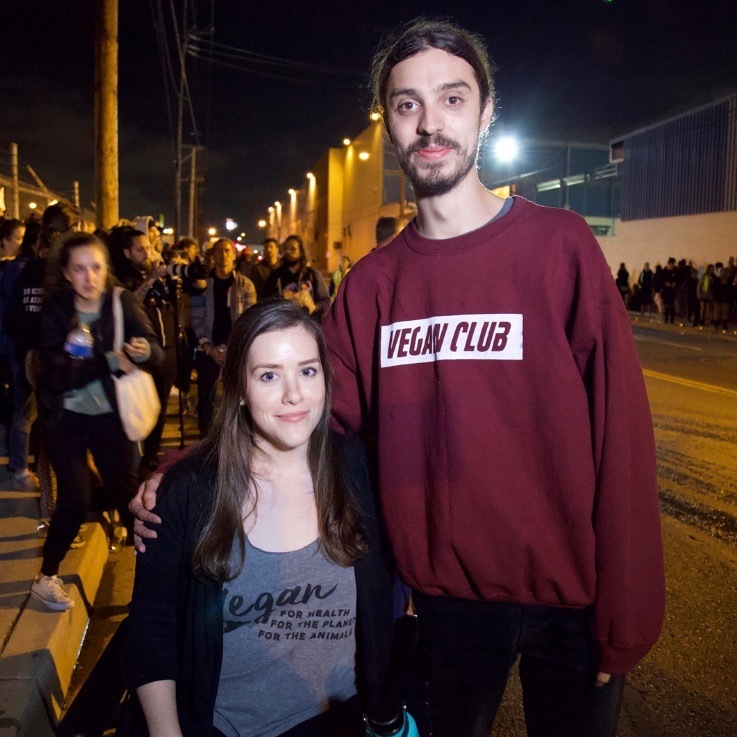 In fact, last night Molly was up late with Paige, at the Animal Alliance Network pig vigil bearing witness and taking a stand for animal liberation! Molly explains that when activists attend vigils, it is in a positive way. Activists are not against the workers or truck drivers. They are there to extend compassion to the pigs by giving them water and love. Activists also document and share the conditions of the animals when they arrive at the slaughterhouse. Thanks for that wonderful explanation Molly! 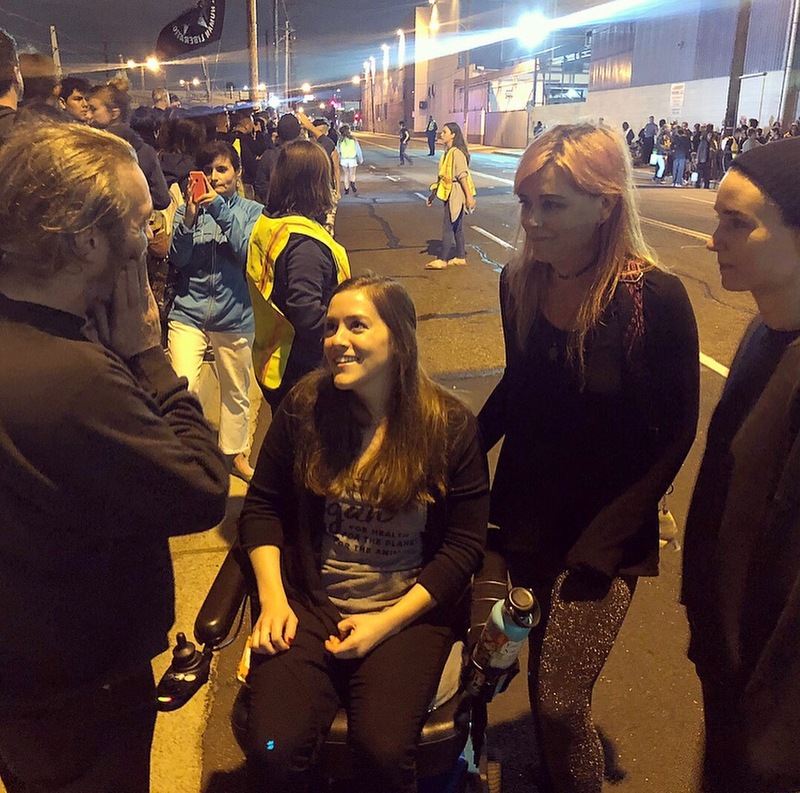 It is truly inspiring that she is able to come to the vigils, despite suffering from chronic pain and being reliant on a wheelchair most of the time. 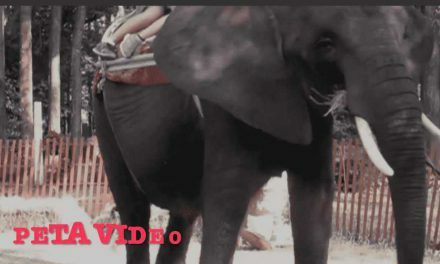 A recent graduate of California State University, Long Beach with a Masters in Social and Cultural Analysis of Education, Molly is primed to jump into a position with an animal rights organization. Her degree also relates to her vegan lifestyle because veganism helps combat environmental issues by opposing animal agriculture. 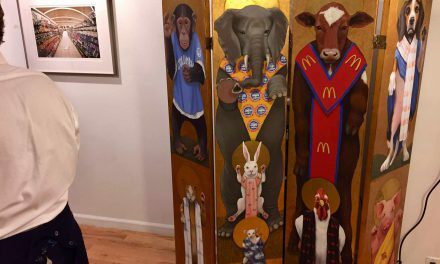 Her educational program focused on systems of human oppression, and she found the parallel to the oppression experienced by animals in the agricultural industries. Thank goodness, Molly watched “What the Health,” so we could have this smart, talented woman working hard to promote veganism and animal rights! 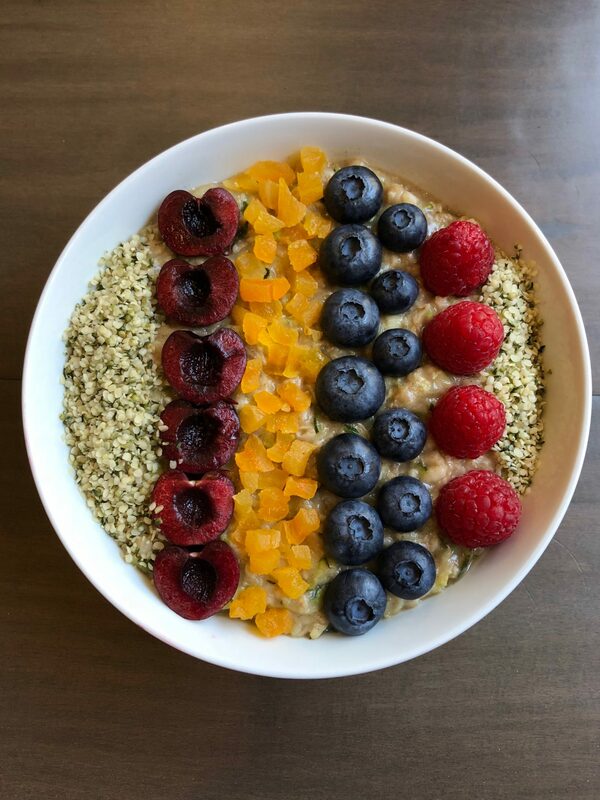 Definitely try to make this wonderful oatmeal dish at home because it is jam-packed with vegetable nutrients, and the spices and monk fruit maple syrup make it delectable! And it’s also very satisfying and easy to make. 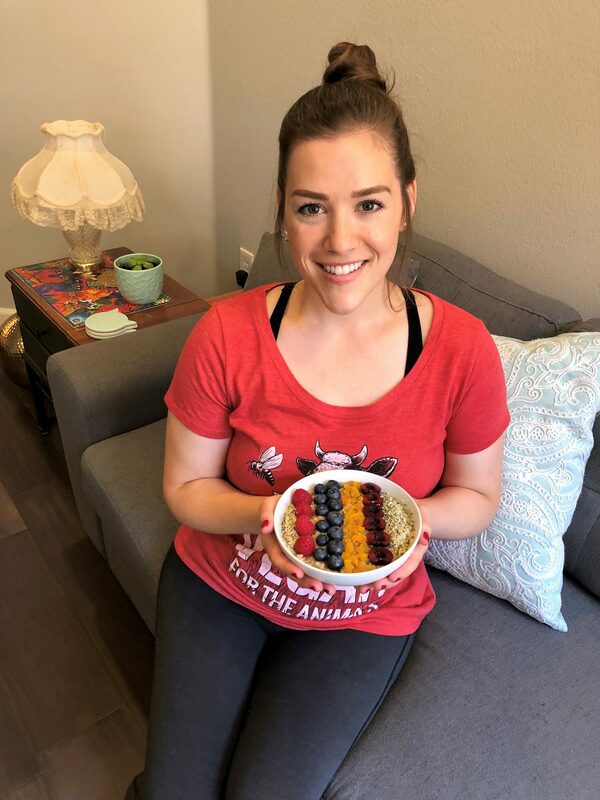 Molly made the most beautiful bowl of oatmeal topped with colorful fruits that we have ever seen! So why not follow Molly’s lead, and have your veggies for breakfast too? Add oats and cinnamon into a small saucepan and stir around so the oats are coated in cinnamon. Add in your freshly grated zucchini, maple syrup, and water. Stir to incorporate. Using your stove top, bring to a boil and stir the mixture using a silicone spatula. Reduce heat to low and simmer your oatmeal until it reaches your desired consistency, stirring occasionally. 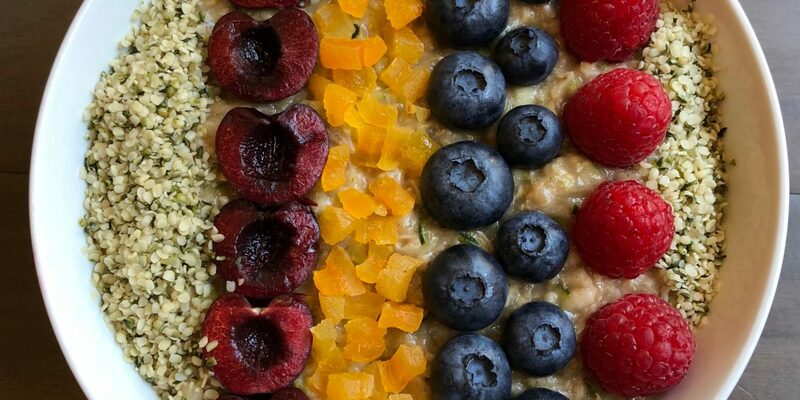 Top oatmeal with fruit and/or nuts of choice. My favorites are berries, hemp hearts, and chopped dried apricots. Enjoy! 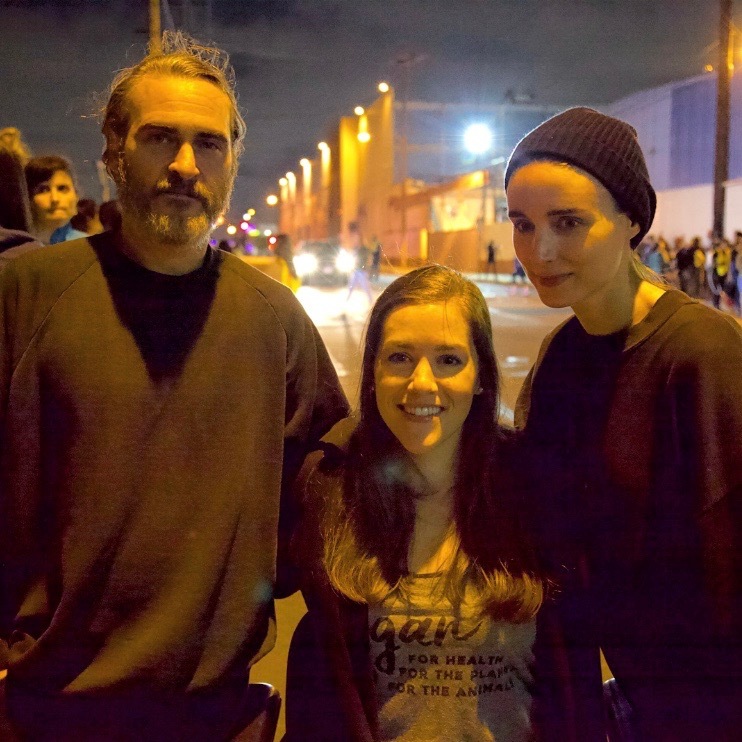 Molly posing with Joaquin Phoenix and Rooney Mara at the LA Animal Save weekly pig vigil. Too cool! 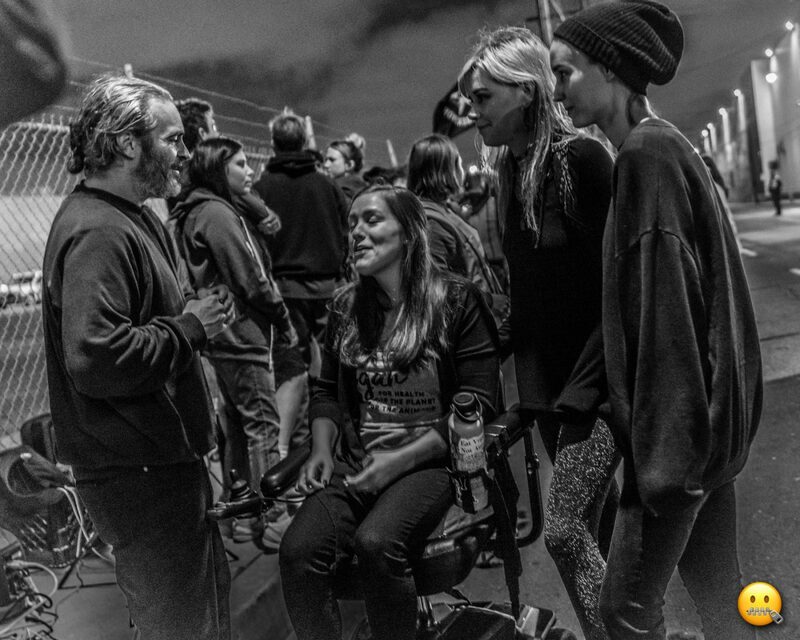 Joaquin Phoenix talking to Molly at the LA Animal Save weekly pig vigil. He is obviously as smitten with her as we are! 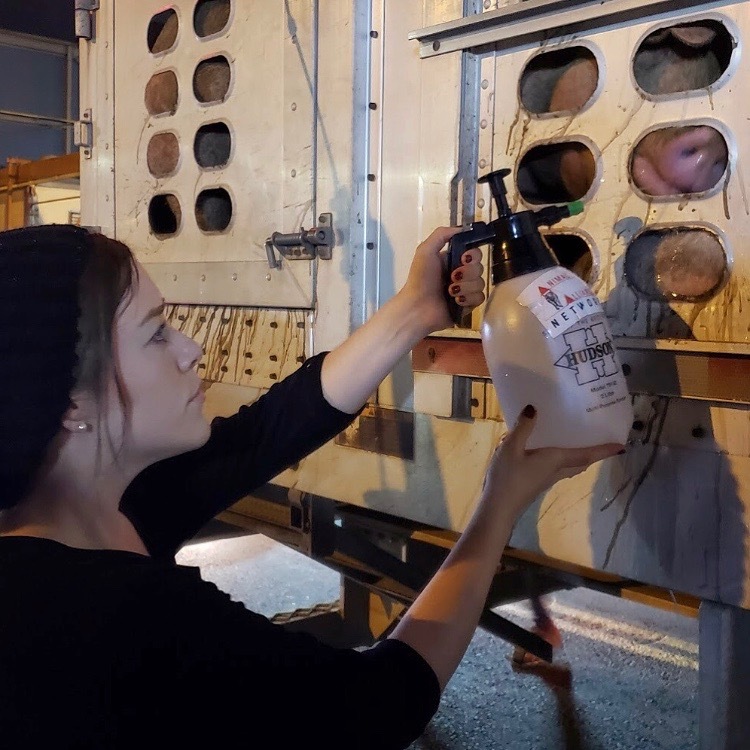 Molly working hard to give water to dehydrated pigs at the Animal Alliance Network weekly pig vigil. She is so inspirational! Molly with Earthling Ed at the Los Angeles Animal Save pig vigil. Great pic! PreviousPatrik Baboumian, Ellora Wellness, Oil-Free Blueberry Crumble, Beyond Burgers, and Pole Dancing! 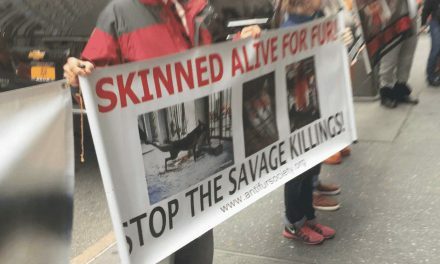 NextBacon and Salmon without Cruelty?? Come try this Eggplant Bacon and Carrot Lox! 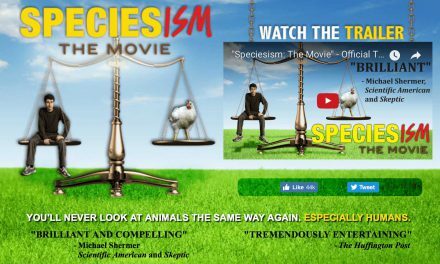 "Speciesism The Movie" Producer to Speak at 2017 Animal Rights Conference!